Thinking of having a new porch installed in Harrow, Pinner or North West London? We’ve broken the process down into 5 easy steps. 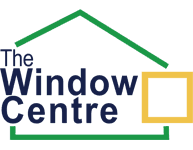 At The Window Centre, our expert surveyors, fitters, installers and sales team will work with you every step of the way, choosing from the best porch designs and materials for your requirements. For a free initial consultation or to request a quote, get in touch with out Harrow-based team today. Ou friendly team is always happy to help out. Contact us to make an enquiry or to discuss porch designs. At the Window Centre, our porch designs and shapes can be tailored to your home and personal tastes. Porches up to 3.5m2 do not require planning permission. Choosing the right brickwork is important when making your porch look like a part of your home, not merely an extension of it. At The Window Centre, we have a wide range of brick types to choose from and a range of build styles, such as single skin or cavity brickwork. The options you choose will allow light to enter your porch and make each porch individual and beautiful.  The Window Centre specialises in all types of glazing – choose from double and triple glazed units, or explore our wide range of decorative styles. We’ll ensure that your porch windows will look great, insulate your home and remain energy efficient. There are plenty of options to choose from when picking the perfect entrance for your home. Choose from some of our favourites, such as composite doors, to enhance the look of your home and improve security. There are many roof styles to choose from when designing your porch. The most popular options are Pitch, Hip and Gable. We will ensure your roof style fits in with your home and looks the best it possibly can. There are many tiling options to consider, with different sizes, colours and appearances giving you incredible freedom when personalising your porch. Lead flashing and guttering come as standard to keep your porch perfectly weatherproof. We know that it is the finishing touches that make your porch stand out as a personal part of your home. We offer various flooring finishes such as laminate, screed, timber and carpet. We feel that your porch should look great and function fantastically at night. We can offer ideas for internal and external lighting and electrics to complete the look of your porch. All walls will be plastered to a high quality finish – ready for you to add that lick of paint, wallpaper or that extra personal touch. After taking you through the steps and having decided on your perfect porch, we will bring the designs together, order the high quality materials, and arrange for our fitters to come over and begin work. Our fitters are highly experienced, friendly and very tidy. We are confident you will be pleased with the work done and even more so with the finished porch! We know from experience how much our porches are appreciated and how good they look – and we have every confidence that you will be just as pleased with your new porch as all our customers before you. You can also rest assured that with our 10-year guarantee, you can be as confident as us in the quality of your purchase! Why wait? To discuss porch designs in Pinner, request a call back using the form below.